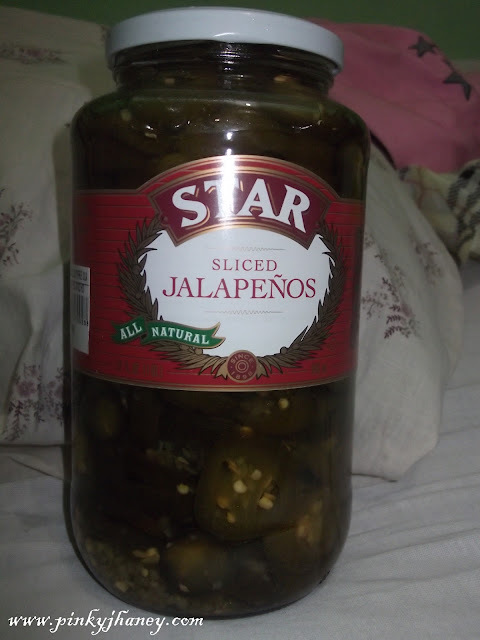 Paul bought me a bottle of Jalapeños when we had our Valentine date in Clark, Pampanga. He bought me a bottle of Jalapeños in Puregold Clark. He knows that I love spicy foods so much. 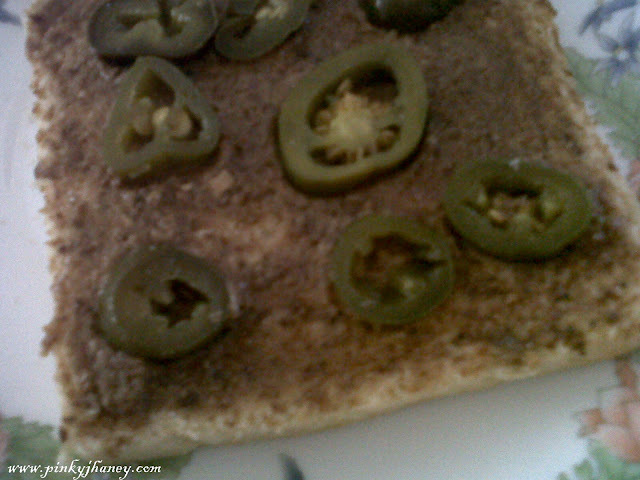 So I experimented with my jalapeños so I wouldn't get bored eating them. 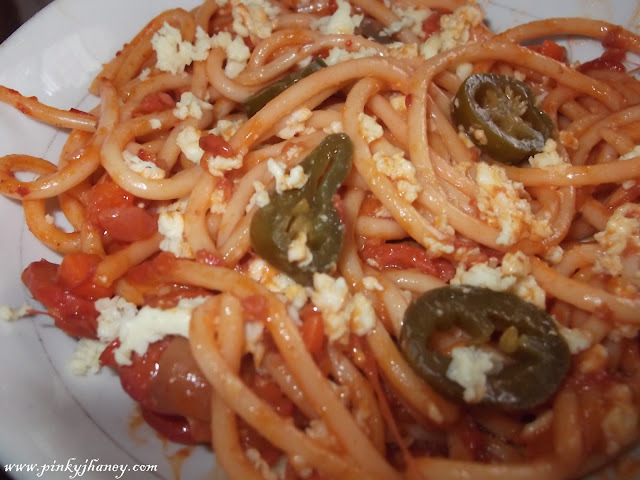 I mixed some jalapeños with my spaghetti and it tasted well. Wahhh! I can never have those chili peppers. Mahina ako sa anghang sis.